This eclectic elemental photo collage composition utilizes themed photo elements, textures, and patterns structured into a grid or other geometric linear creations. 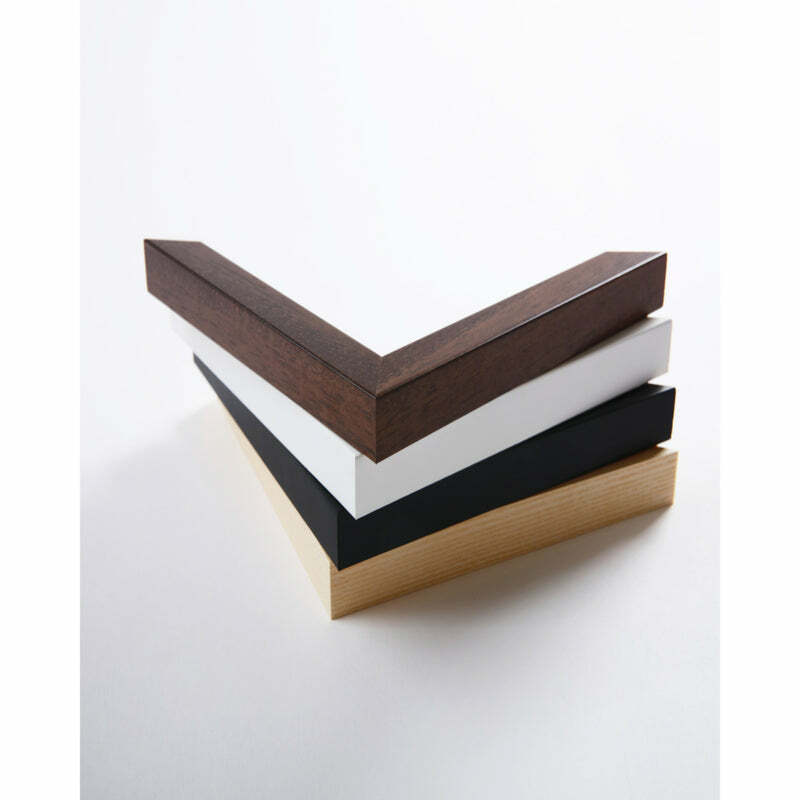 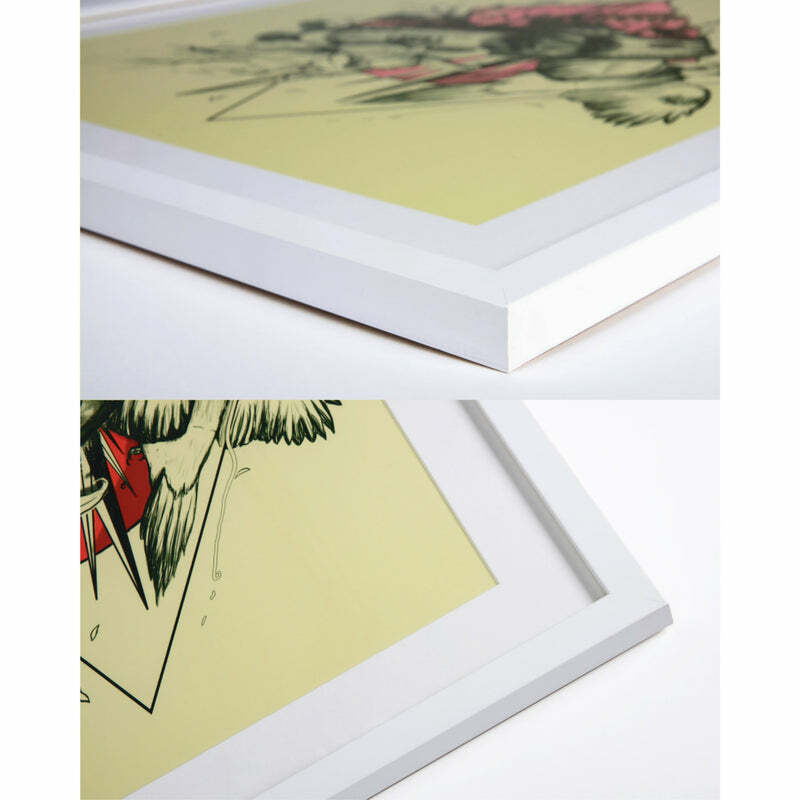 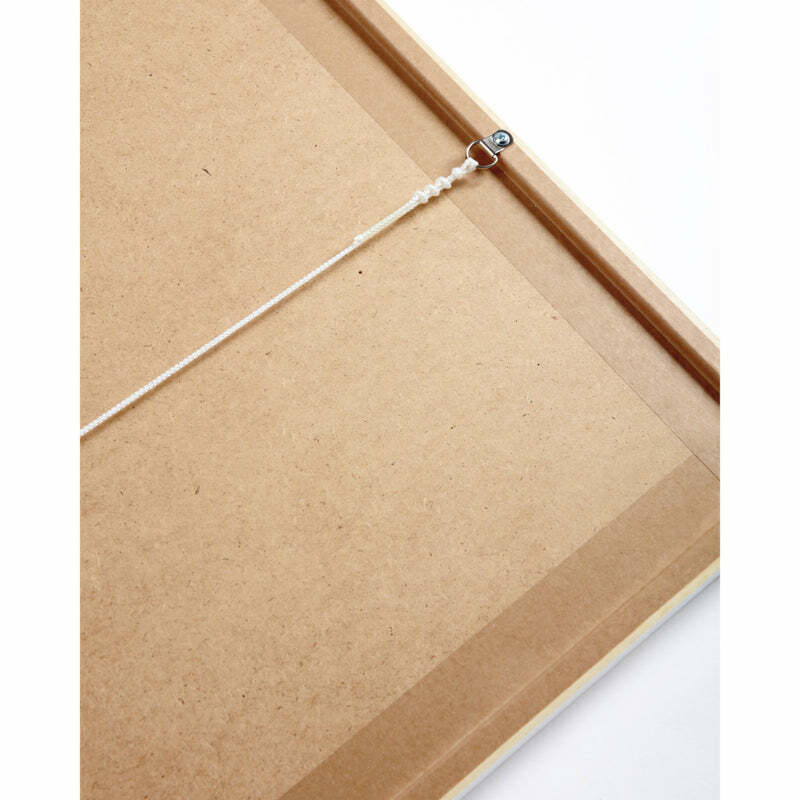 Some elements are so emphatic and vibrant that they can't help but break out of their respective frames. 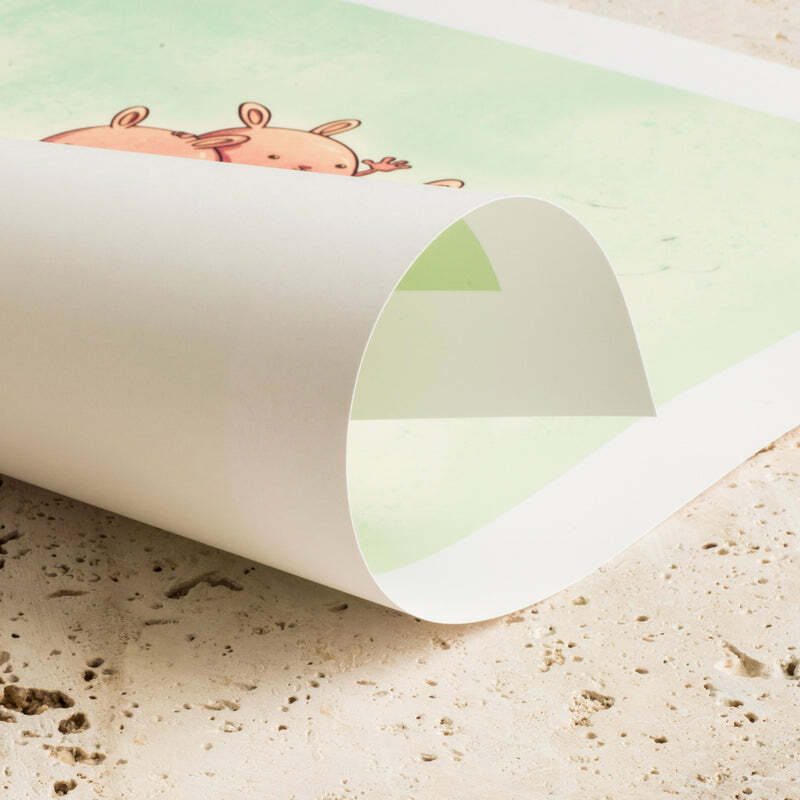 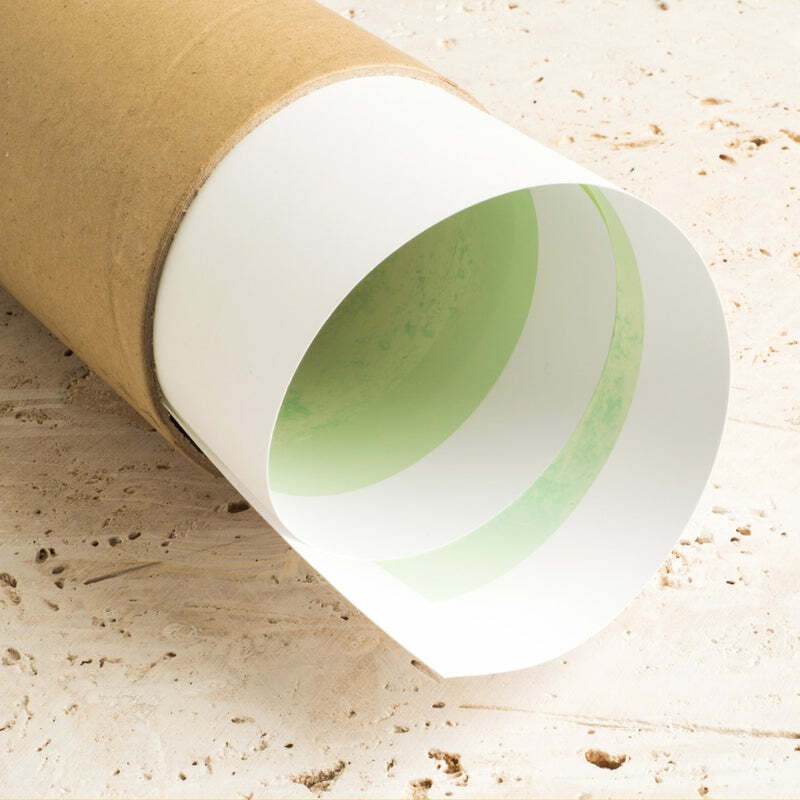 The result is an active shadow box of sorts that celebrates its theme. 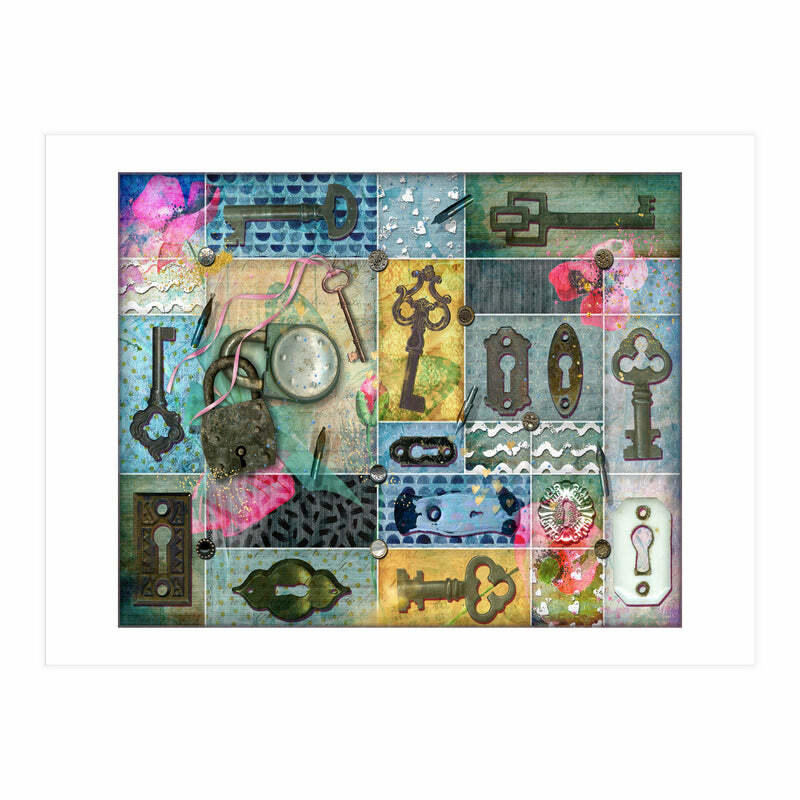 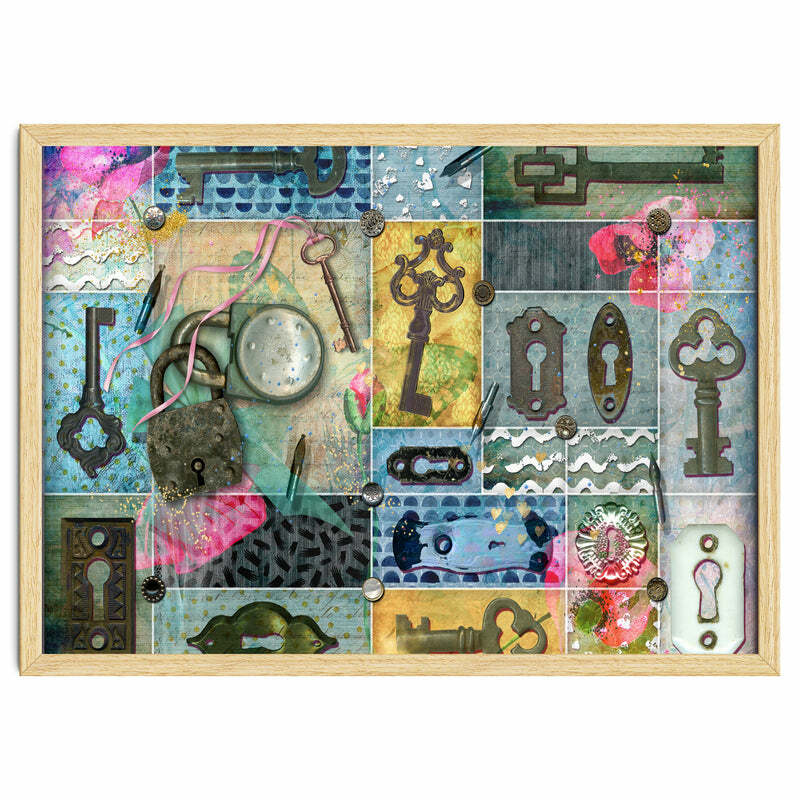 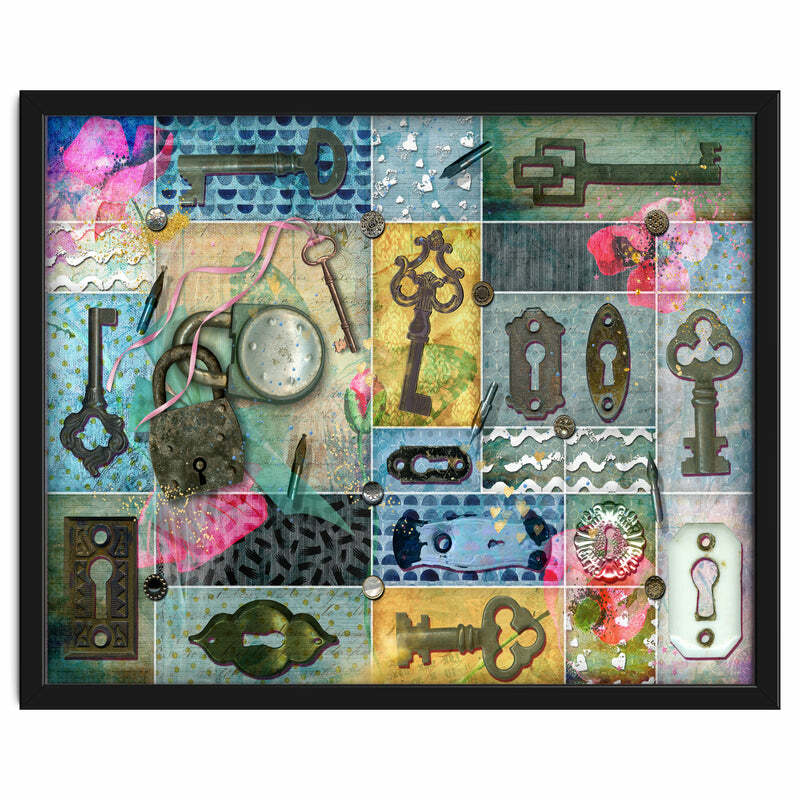 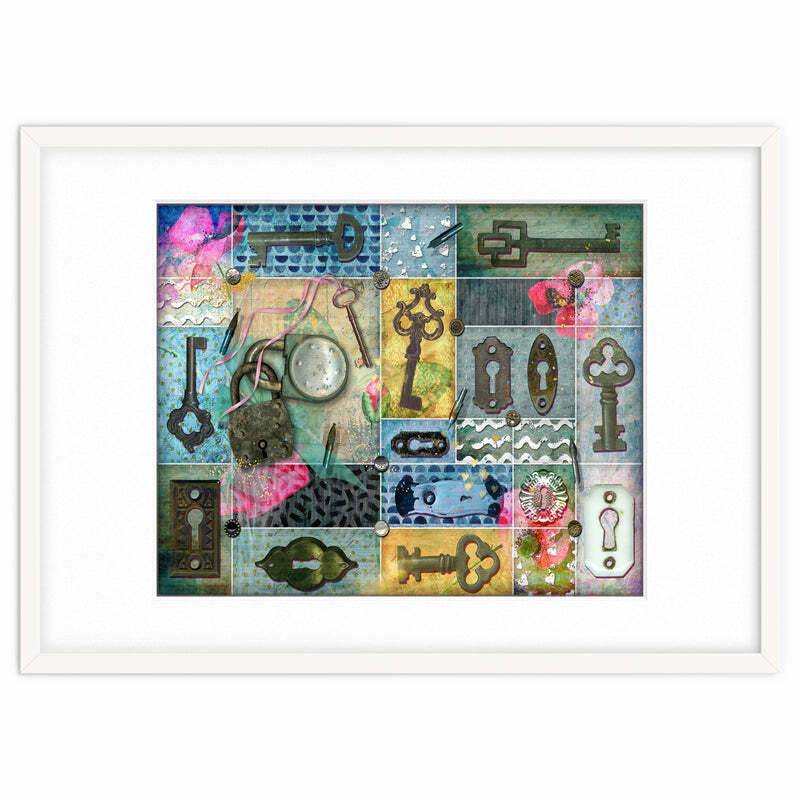 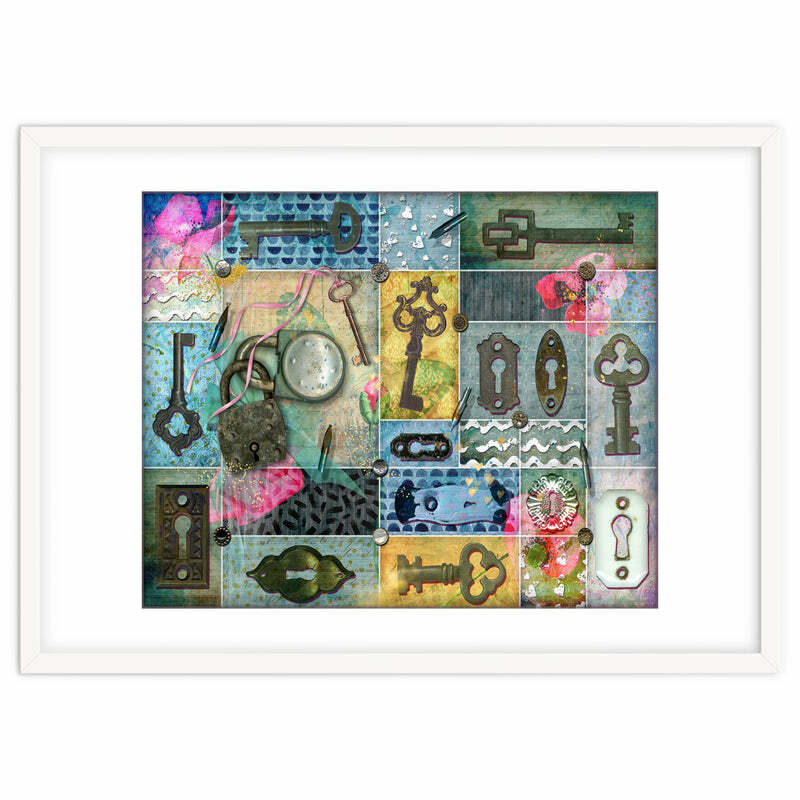 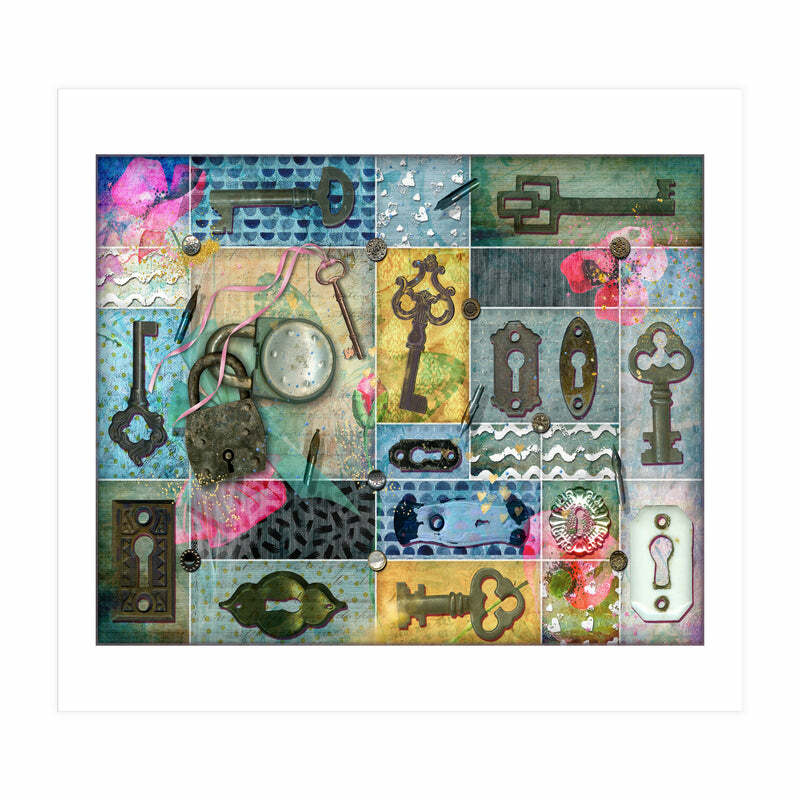 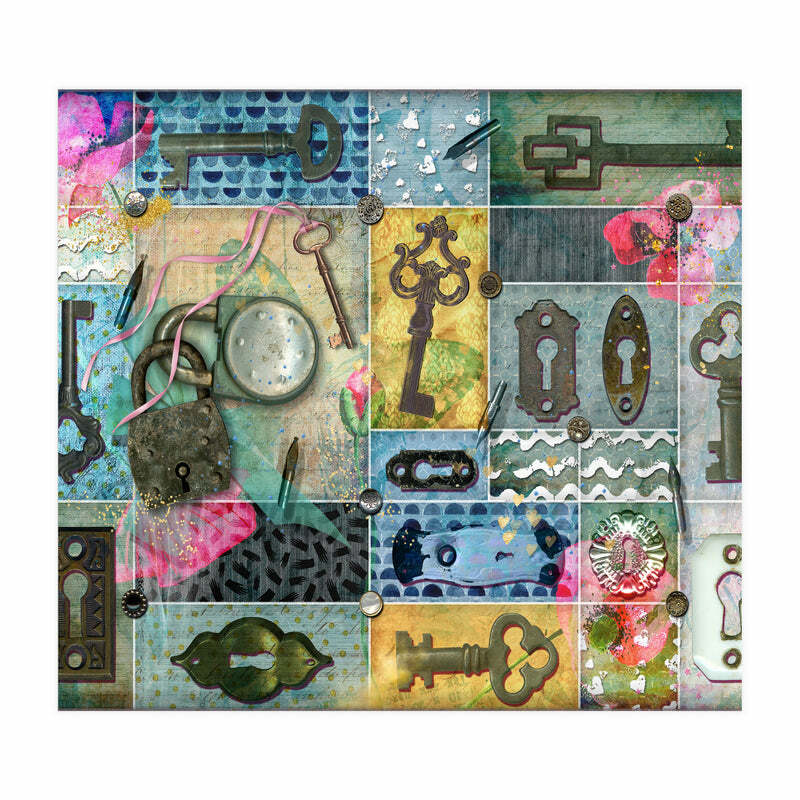 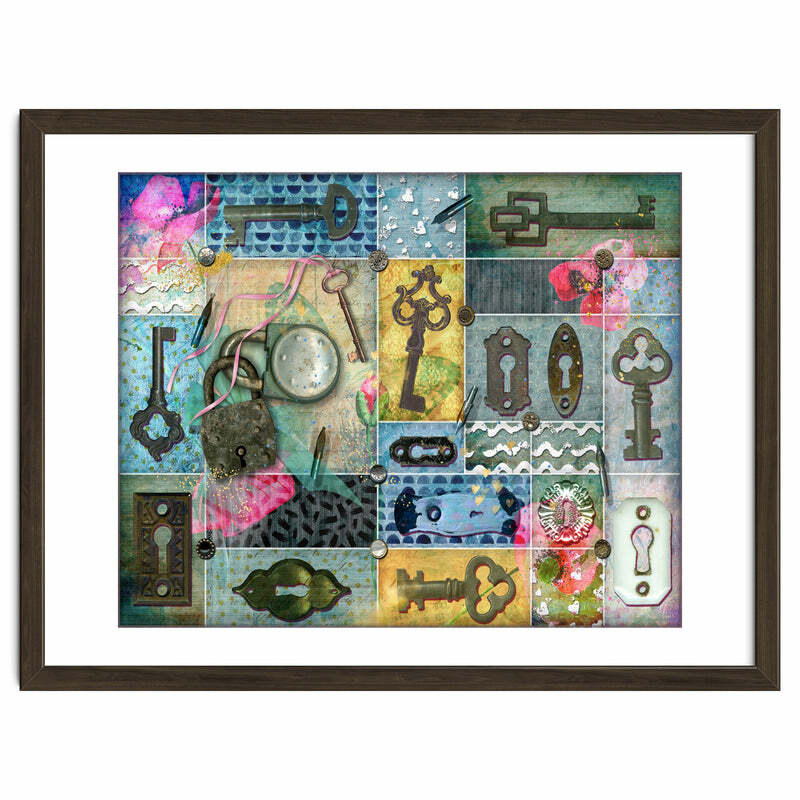 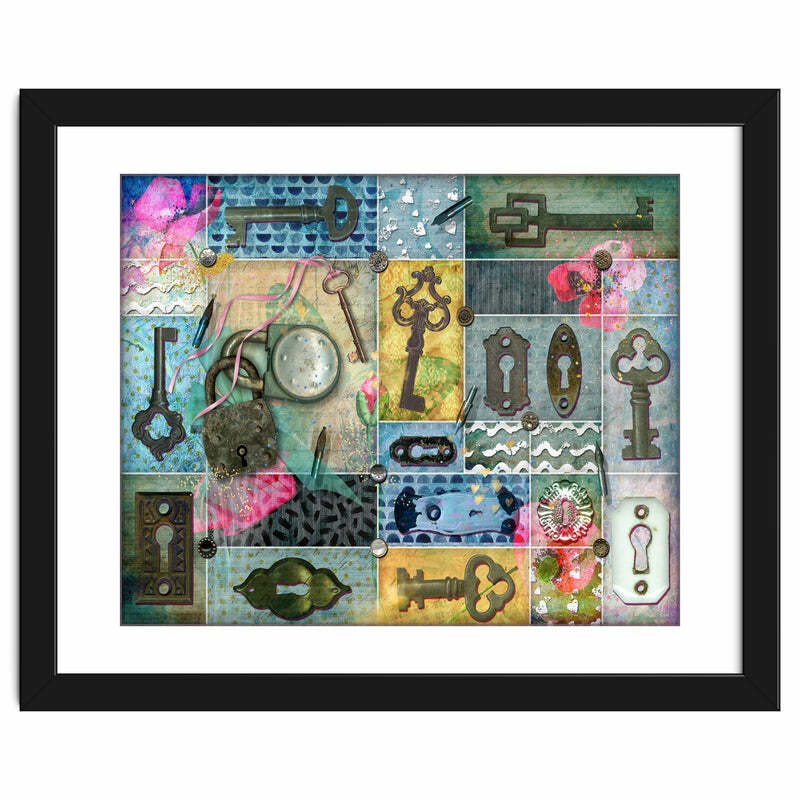 Vintage Key Collage showcases antique keys and key plates, with two weathered padlocks as the main focus. Pink floral elements provide accents while the backgrounds consist of blended antique wallpaper patterns and some vintage script writings. Antique pen nibs and buttons provide the finishing accents. Doesn't it make you want to go to your room?